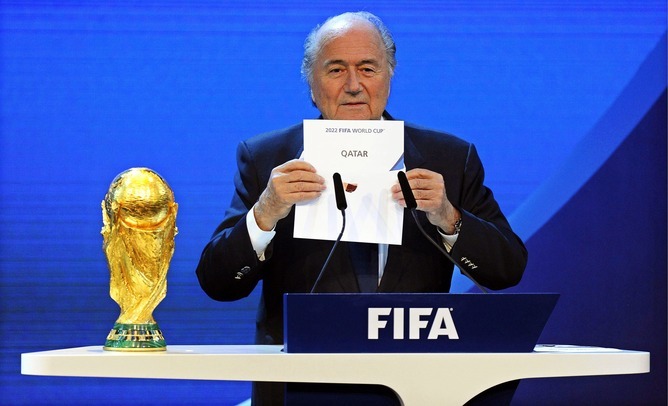 Hans-Joachim Eckert, chairman of the independent Adjudicatory Chamber of football governing body FIFA’s Ethics Committee, announced on Thursday that his committee had exonerated Qatar and Russia over the controversial bidding process for the 2018 and 2022 World Cup hosting rights. A report to Eckert’s committee also criticised England and Australia, whose respective bids for the 2018 and 2022 tournaments yielded princely votes of two and one. … the evaluation of the 2018/2022 FIFA World Cups bidding process is closed for the FIFA Ethics Committee. … contains numerous materially incomplete and erroneous representations. “Closure” never looked more open-ended. FIFA has never appeared more foolish, deluded and self-serving. The ABC recently broadcast Fleming: The Man Who Would Be Bond, a two-part series about the literary creator of James Bond. Fleming died in 1964, two years before England’s sole victory in the FIFA World Cup. It is a shame that he never turned his attention from SMERSH, the fictional Soviet spy agency in the James Bond novels, and international espionage to take on the murky world of FIFA and international football. With a ready-made cast of villains, sundry convoluted plots and a raft of shady transactions, it would have been easy for Fleming to take some minor fictional liberties with FIFA’s shenanigans and bash out From Zurich With Cash or The Executive Committee Member Who Milked Me. Online and social media’s capacity to enable anyone to communicate their ideas and views is much celebrated. So why do so many people feel nervous about getting involved with online debate? Too often, the reason is they have had vitriol poured all over them, or seen that happen to others. This was the experience of one of this article’s authors (Helen), who recently wrote an opinion piece for a popular Australian website, Mamamia, which ran with the headline Why I’d never be with a man who always pays the bill. And the public response to what was her first foray into writing for a major website left her wondering if it’s worth repeating the exercise. Beyond this single anecdotal example – just one of the millions of blog posts and articles published every day around the world – why does online incivility matter? It matters, in part, because recent research has shown that the content and tone of comments on articles can actually affect the way people read and interpret the original article. […] those who are exposed to uncivil deliberation in blog comments are more likely to perceive the technology as risky than those who are exposed to civil comments. So what each one of us posts online matters. And as we’ll show, there are ways to improve the general standard of online comments and to not let trolls get the better of you. Sociological discussions of incivility have tended to focus on everyday urban encounters between people in spaces such as streets and public transport. But although urban incivility attracts a great deal of attention and may result in action by the police, the practice of aggressively insulting strangers is being given a new lease of life online. As is common in such pieces of “confessional journalism”, when writing for Mamamia Helen used examples from personal experience to dissect broader social values: in this case, gendered assumptions about who pays for restaurant meals. It was intended to be a critique of gender inequality wrapped in the garb of benevolent sexism. 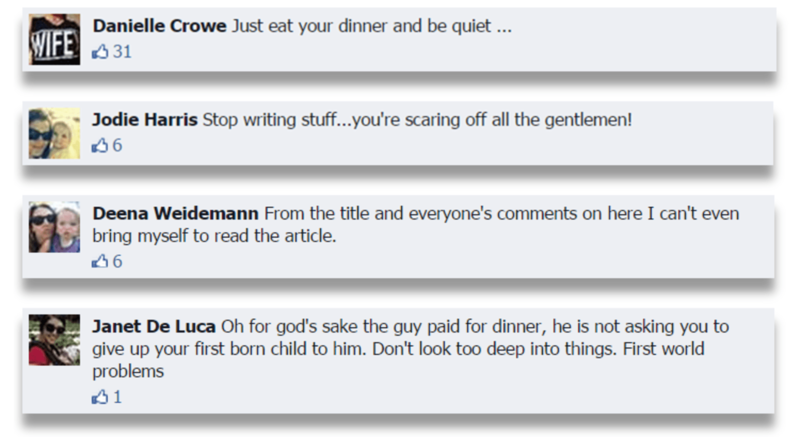 The response from readers in the comments below the article and particularly on Mamamia’s Facebook page was frequently savage. While it was a bruising surprise for Helen, sadly when you look at online comments around the world, the comments she got were not particularly unusual. That prompted us to reflect on some examples of how online media can easily function as a vehicle for harshness and abuse, often against – as well as by – women.